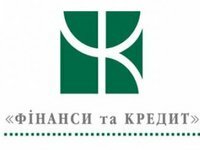 The Individuals' Deposit Guarantee Fund has paid UAH 2.5 billion to depositors of bank Finance and Credit being under liquidation in the first week of payments in the period of the bank's liquidation starting from December 23, 2015, which is 40% of the total refunding (UAH 6.5 billion), the fund has said on its website. As reported, the National Bank of Ukraine (NBU) on December 17, 2015 under a proposal of the Individuals' Deposit Guarantee Fund passed resolution No. 898 on revoking the banking license of bank Finance and Credit and liquidating it.